The Frozen princesses are coming to our gym! 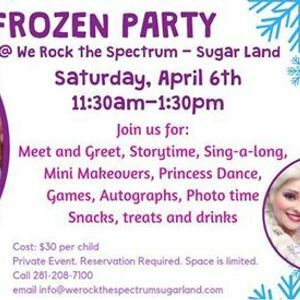 Join us for this fun party with Anna and Elsa! 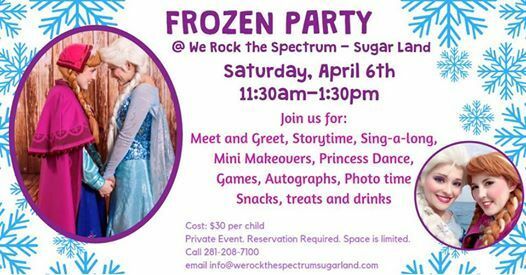 Meet and Greet, Storytime, Sing-a-long, Mini Makeovers, Princess Dance, Games, Autographs, Photo time, Snacks, treats and drinks! We are limiting the guest list to 20 friends. Call 281-208-7100 or click the Ticket URL. Payment in full is required to secure your spot.